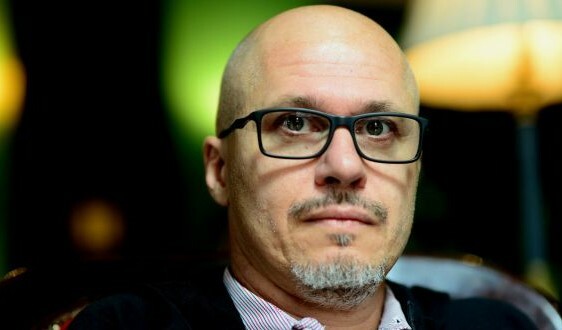 Aleksandar Hemon is a Bosnian fiction writer, essayist, and cultural critic. He frequently publishes in The New Yorker and has also written for Esquire, The Paris Review, and the New York Times. He has also written for and published work in the Sarajevo-based magazine, BH Dani. He has won countless awards for his work: the PEN American Jean Stein Grant for Literary Oral History (2017), the National Book Critics Circle Award (2013), the United States Artists Fellow Award (2012), the National Magazine Award for Essay and Criticism (2012), the PENN/W.G. Sebald Award (2011), the National Magazine Award for Fiction (2009), the St. Francis College Literary Prize, a MacArthur Fellowship, and a Guggenheim Fellowship. Hemon was born in Sarajevo, Bosnia and Herzegovina—then Yugoslavia—in 1964. He graduated from the University of Sarajevo and became a published writer at 26. He moved to the United States in 192, where he found himself stranded in wake of the outbreak of war in Bosnia and the surrounding former-Yugoslavian nations. This experience is featured heavily in many of his works; though emotionally close to the war, he—like most of the world—could only passively observe the ongoing conflict. Hemon has written three novels and published two short story collections. His most notable works include Nowhere Man, a novel published in 2002, and The Lazarus Project, published in 2008. Both novels discuss the Bosnian immigrant experience through separate perspectives and incorporate autobiographical elements. The stories are characteristic of Hemon’s work as a whole; they include multiple narrators, secondary plots, and themes of loss, identity, and war. Hemon’s prose is tight, illustrative, and smart—lovers of literary fiction will enjoy anything he publishes.